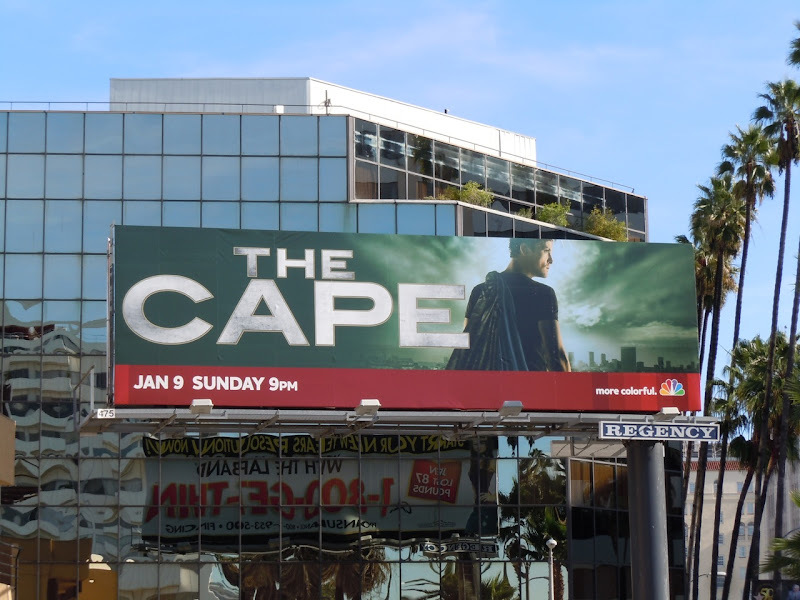 What better way to usher in another TV WEEK here at Daily Billboard than with this heroic looking creative for NBC's new superhero show, The Cape. 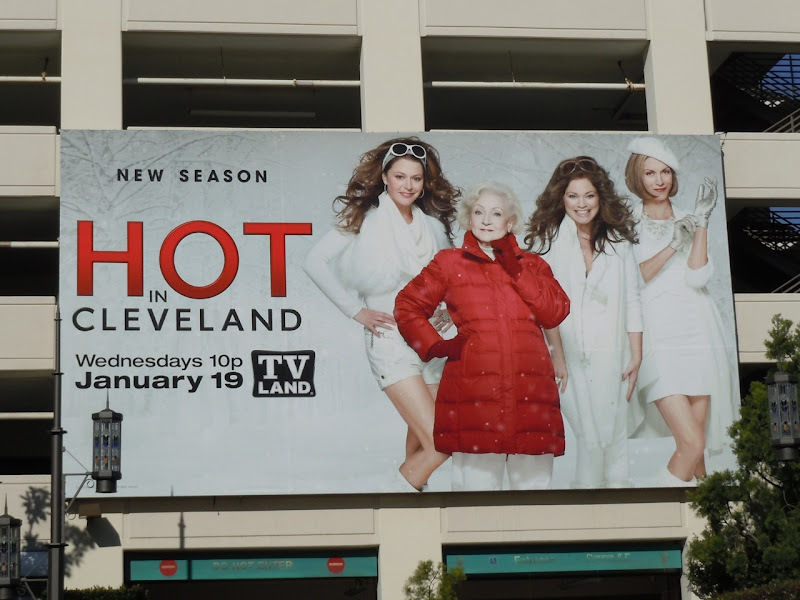 Cleverly this billboard looks like it could just be another fashion billboard with a coat flung over the shoulder by a hunky male model, but it always amazes me how networks want to down play the comic book qualities of their shows when ultimately superheroics is what they are about (especially in this one he wears a costume, whilst others series like Heroes and No Ordinary Family have avoided them). 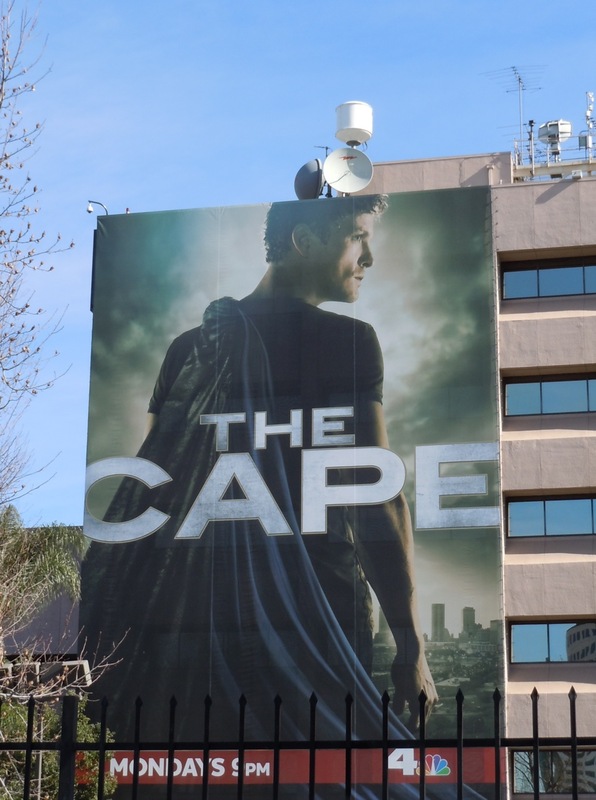 David Lyons looks suitably dashing as the new face behind the mask and cape, and this super TV billboard was snapped at La Brea Avenue and Hollywood Boulevard on December 24, 2010. 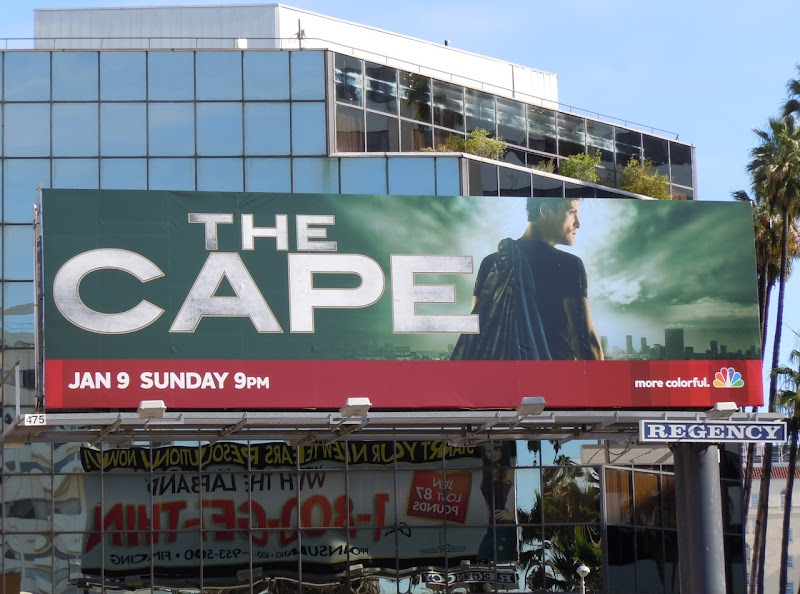 UPDATED: This extra-large billboard for The Cape was snapped at NBC Studios in Burbank, California on January 13, 2011. 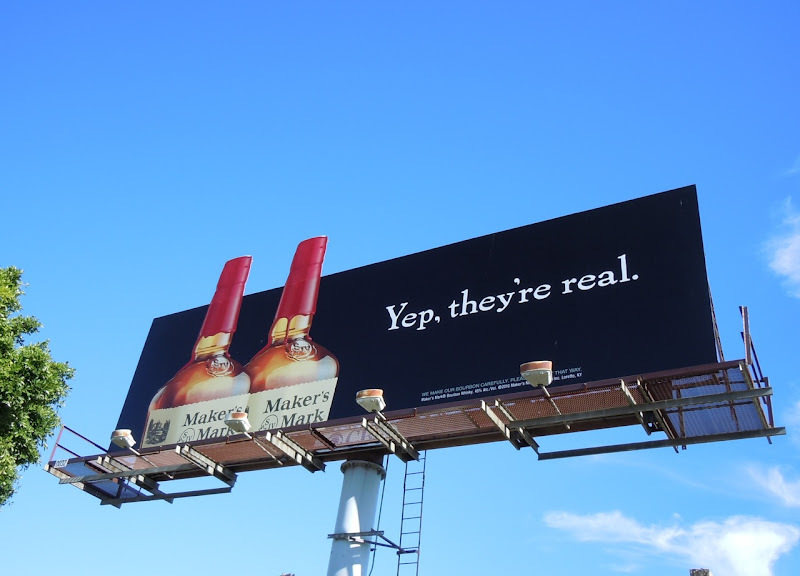 Have you opened happiness yet today? 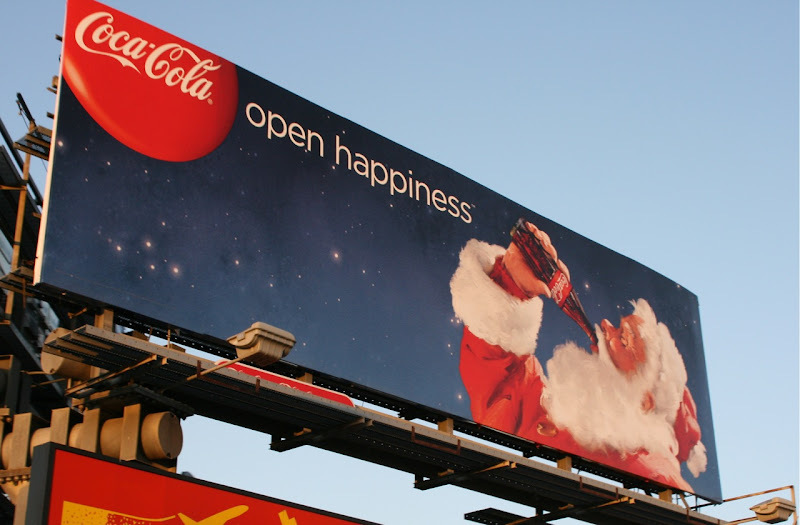 What could be more festive on Christmas Day than a traditional Santa enjoying a refreshing Coke after a hard night's work. 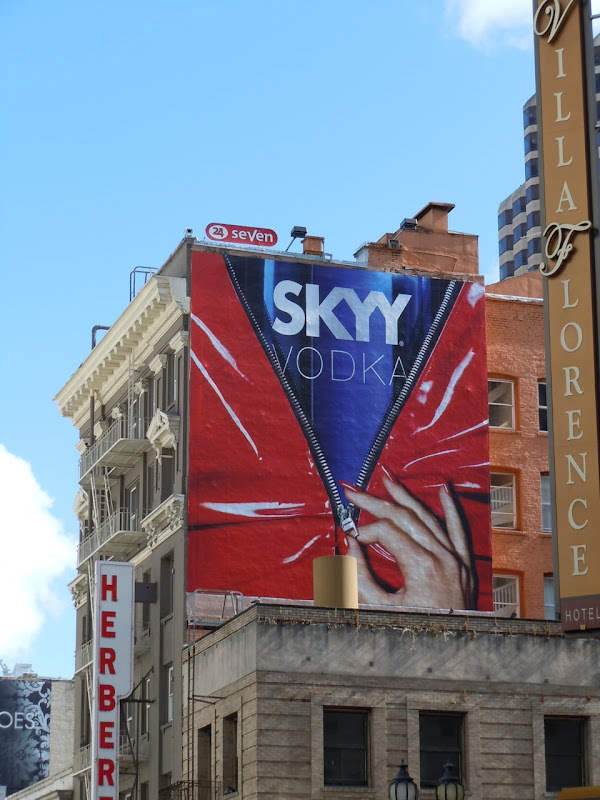 The Coca-Cola brand red looks striking and vibrant against the beautiful Californian blue sky. 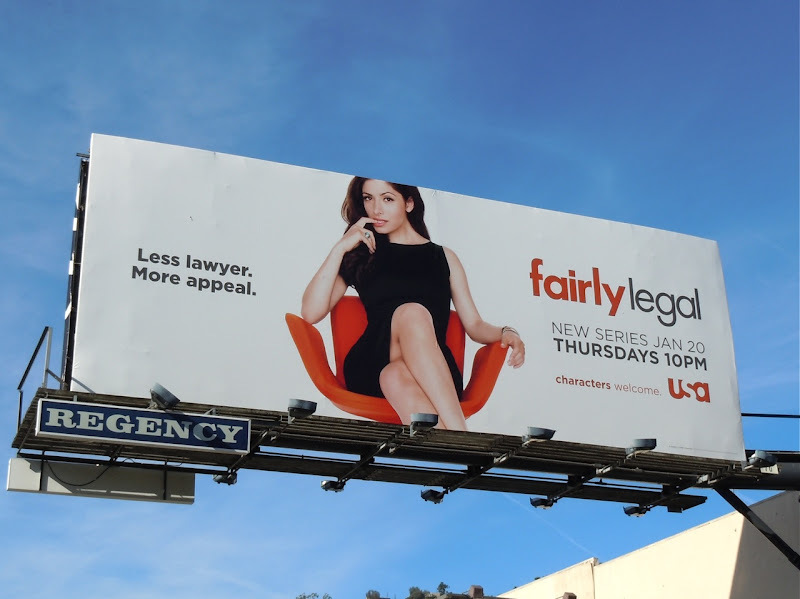 This colourful billboard was snapped at the corner of Cahuenga Boulevard and Franklin Avenue in Hollywood on December 11, 2010. 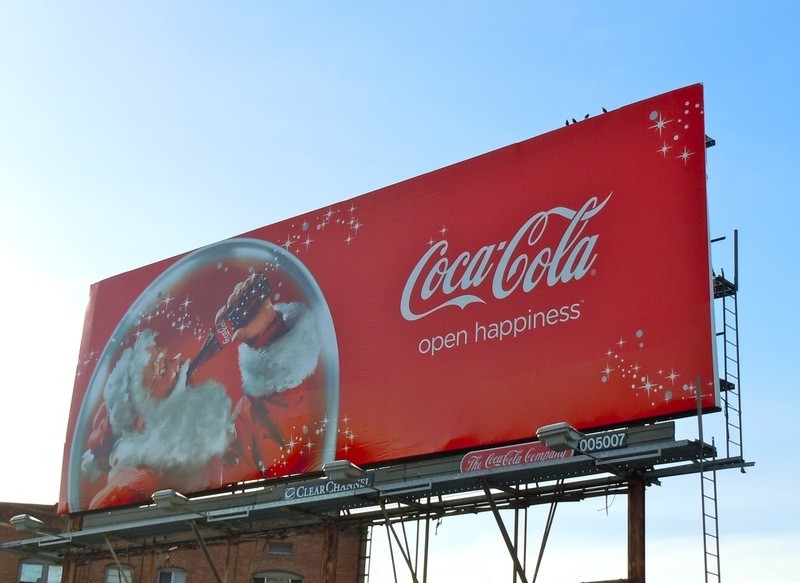 Be sure to also check out Coca-Cola's Santa billboards from 2008 and 2009 here at Daily Billboard. 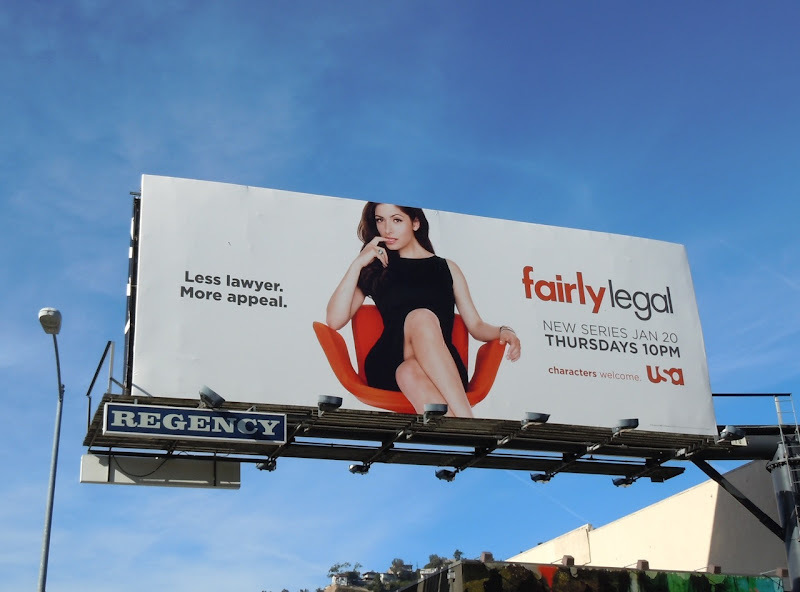 This Is It (or very nearly at least). 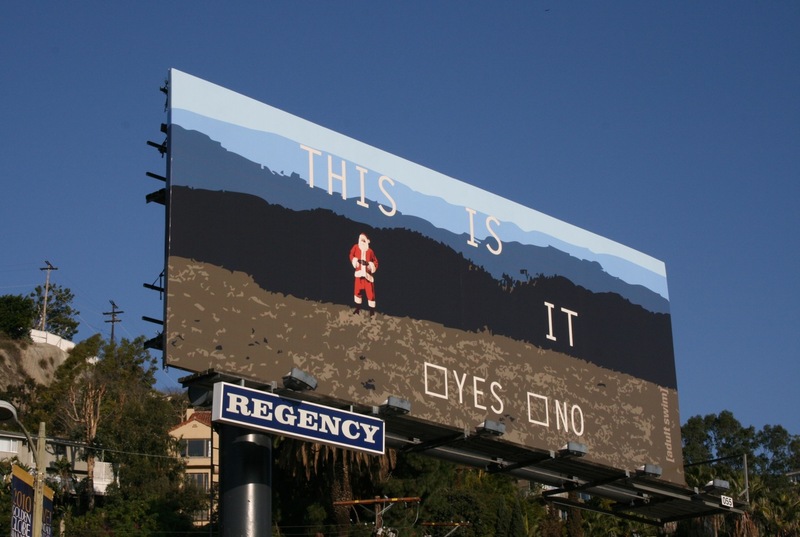 Last year I enjoyed Adult Swim's whimsical Santa billboards around L.A. and thought they'd make a suitably festive duo for Christmas Eve. 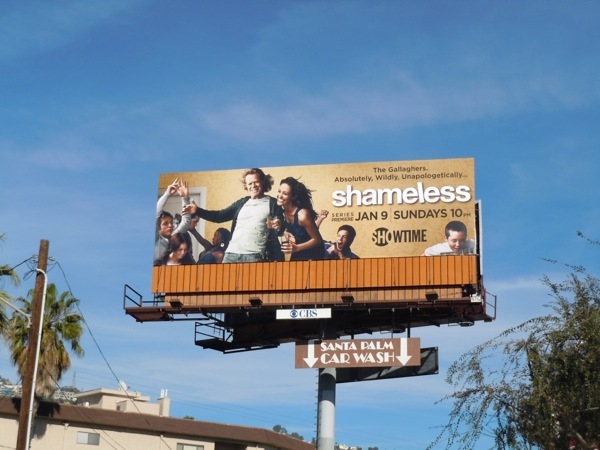 The This Is It creative was snapped on December 27, 2009 in Adult Swim's regular billboard position by Chateau Marmont along Sunset Boulevard, whilst the additional SHHH. 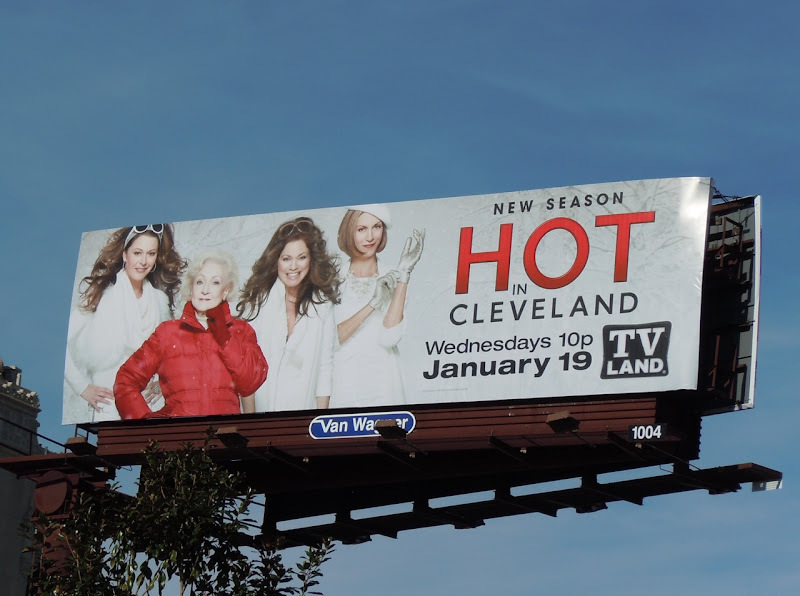 billboard was snapped at La Cienega Boulevard and Holloway Drive on January 16, 2010 (lingering uncomfortably after the holiday season was over). Here's a clever way to promote one of the year's best films and kill two birds with one stone, advertise your Blu-ray release at the same time as garnering Oscar voter consideration. 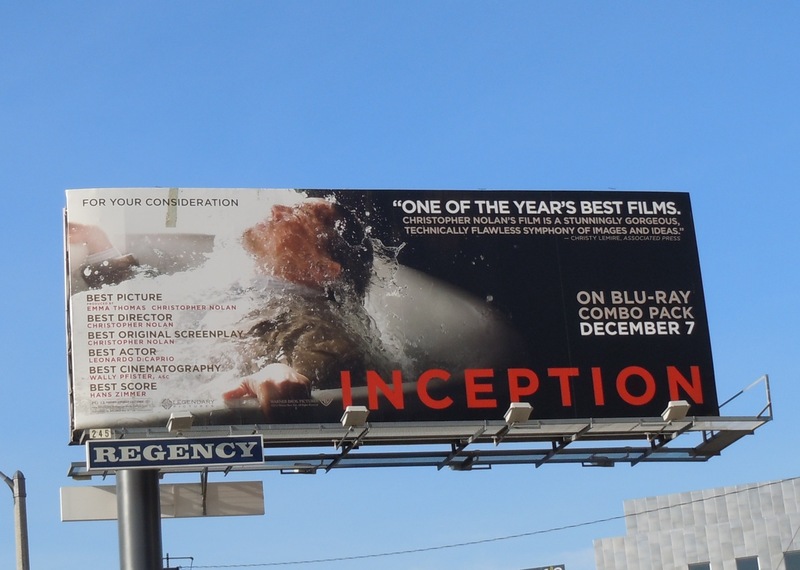 Inception was definitely a highlight of this year's somewhat dreary offering of films and this billboard, with Leonardo DiCaprio emerging from a bathtub of water, makes for an eye-catching visual highlight along L.A.'s Sunset Strip on December 11, 2010. 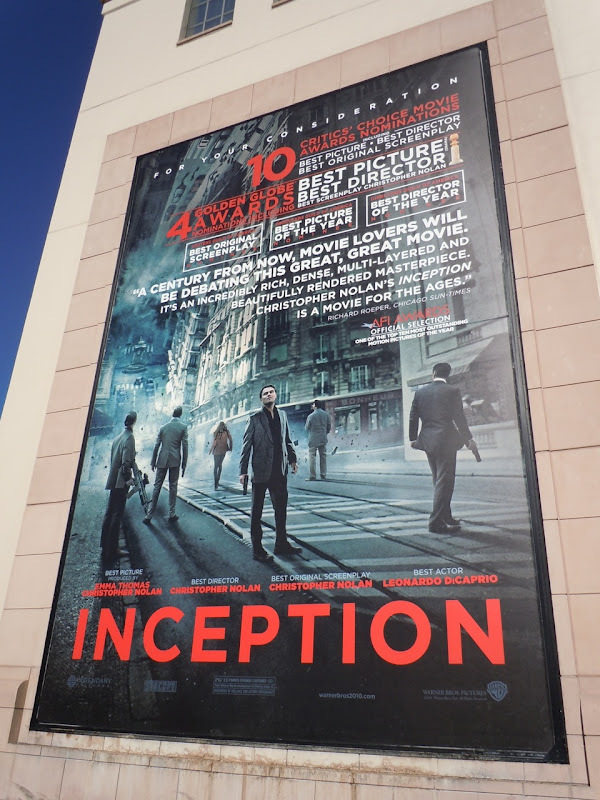 Be sure to check out more Inception billboards here at Daily Billboard. 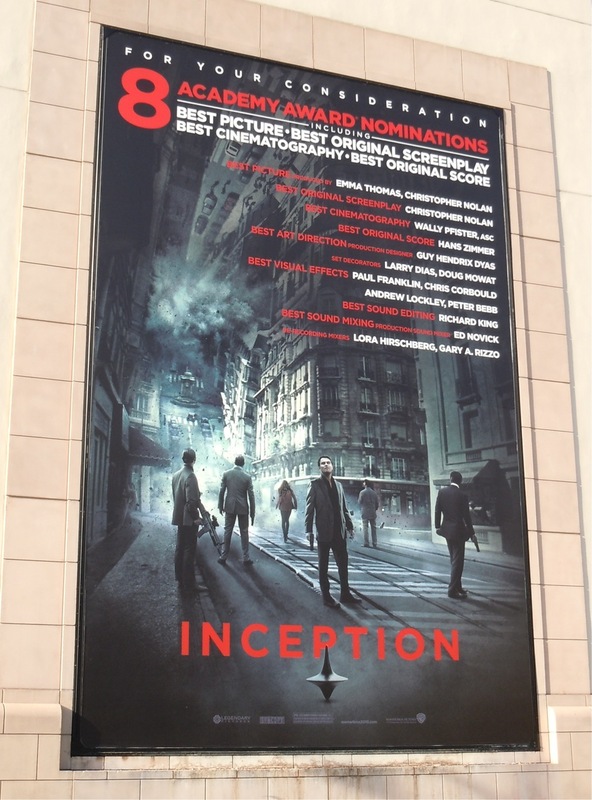 UPDATED: Here are two more billboards for Inception during awards season, from the Golden Globes to the Academy Award nominations and wins. 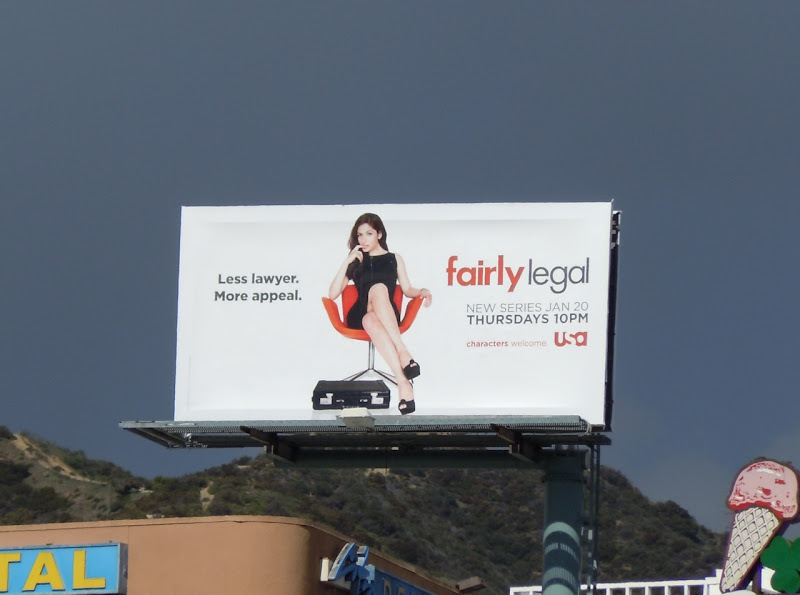 Both versions were spotted at Warner Bros. Studios in Burbank, the first on January 20, 2011 and the second on February 5, 2011. 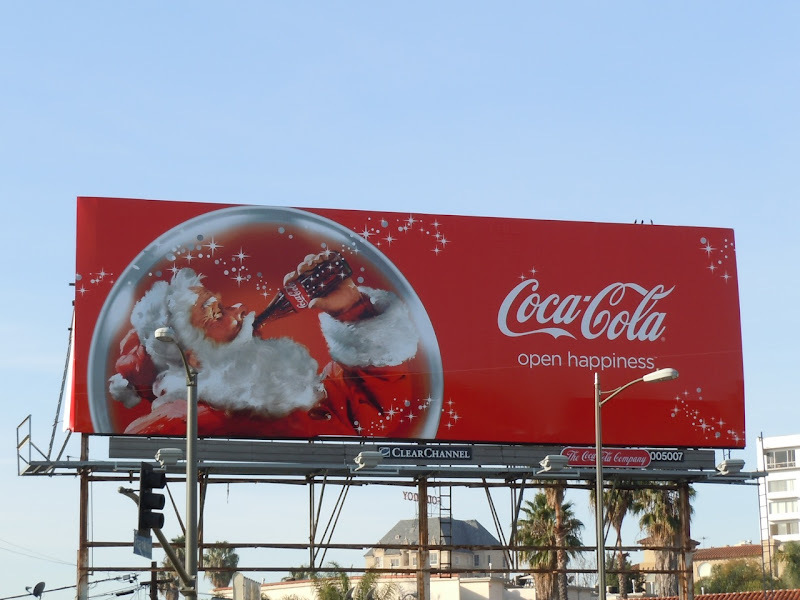 Don't you think turning St. Nick into a kind, jolly old fella in a bright red coat was the best marketing decision by Coca-Cola ever? 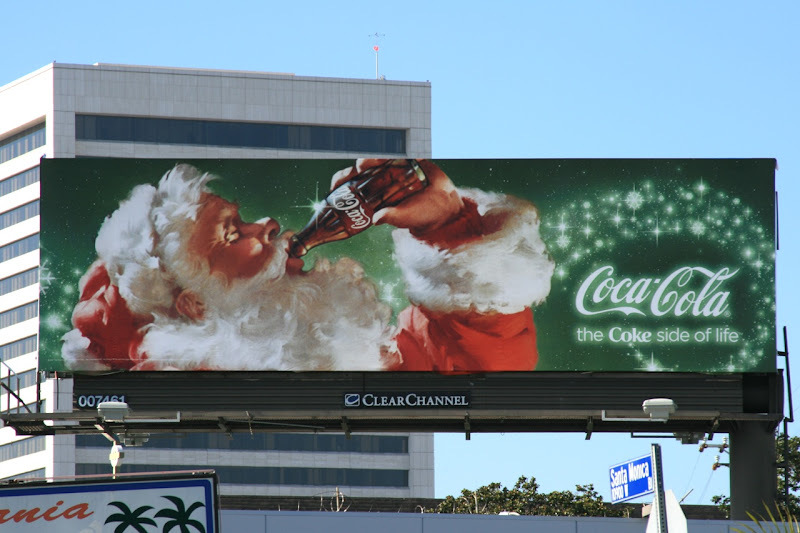 In 1931 it may have been a great way to get more people to drink Coke outside of warm weather, but their iconic advertising really has shaped the way we see Santa depicted in modern times. 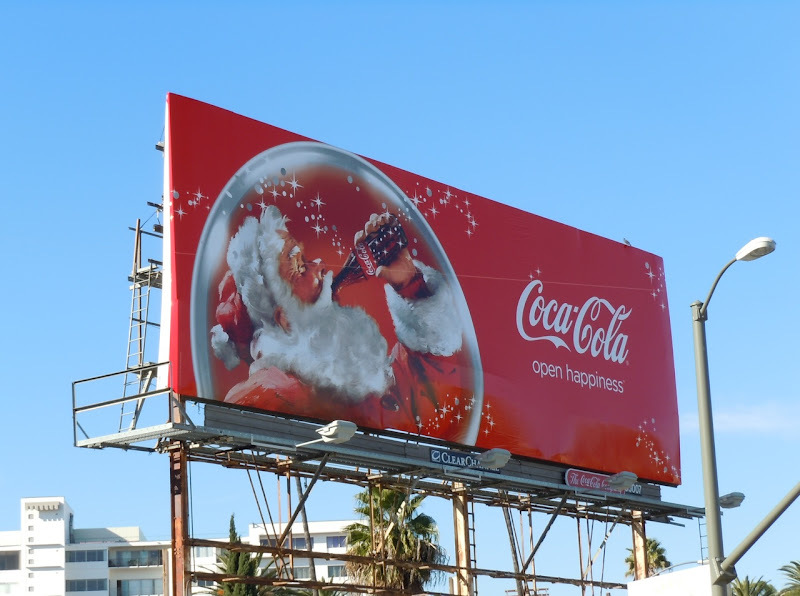 At this time of year Daily Billboard loves looking up and seeing, what we consider, a traditional Santa Claus quenching his thirst on a Coca-Cola billboard, like the green creative from Santa Monica Boulevard on December 5, 2008 and the starry night version snapped near Los Angeles International Airport on November 30, 2009. 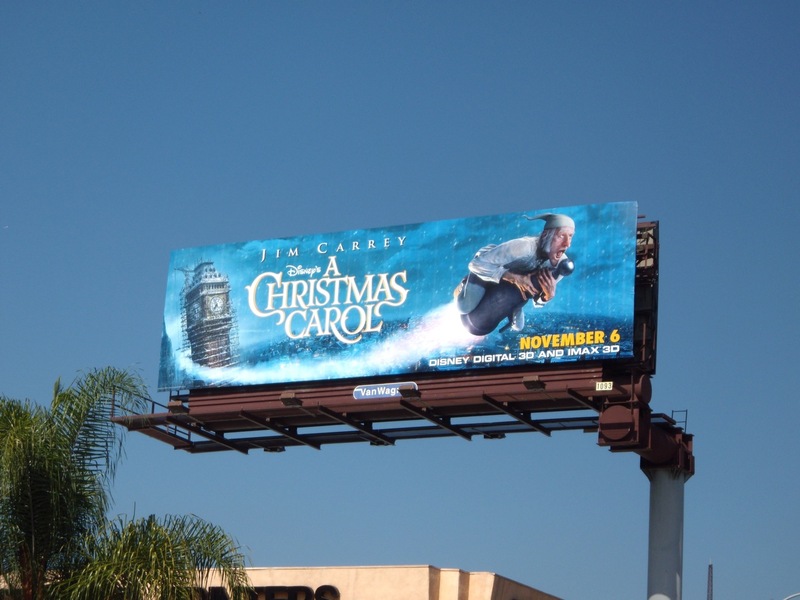 Come back on Christmas Day to see this year's Coca-Cola Santa ad here at Daily Billboard. 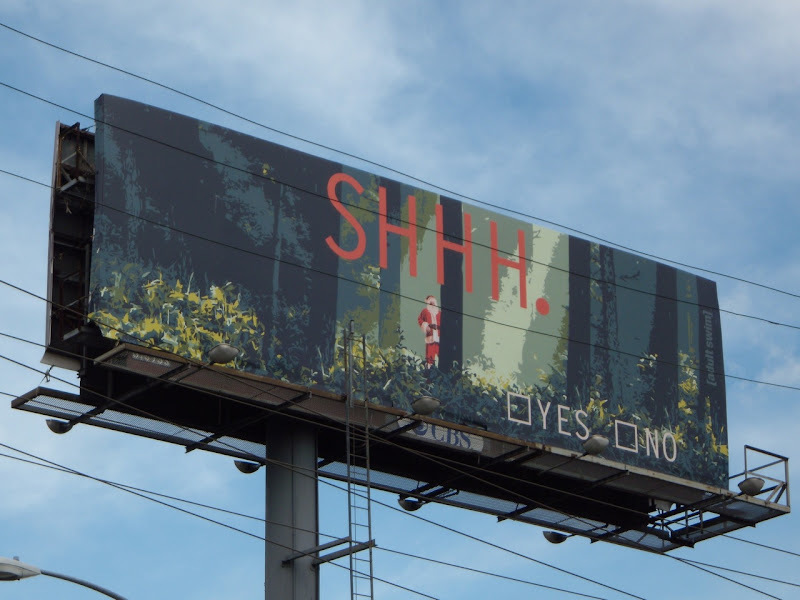 Leave it to Adult Swim to produce the weirdest Holidays billboard I've ever seen and to keep me smiling (as their creatives always do). 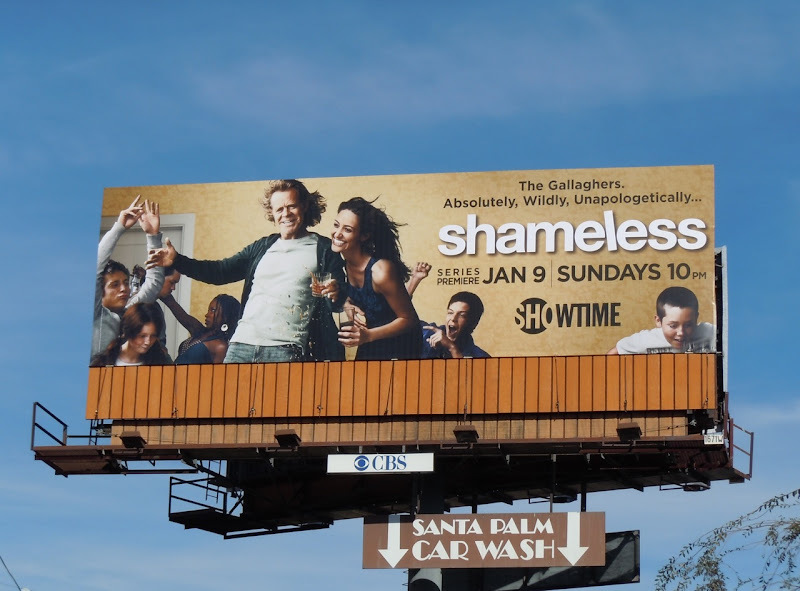 really stands out along Sunset Boulevard at Selma Avenue on December 11, 2010. 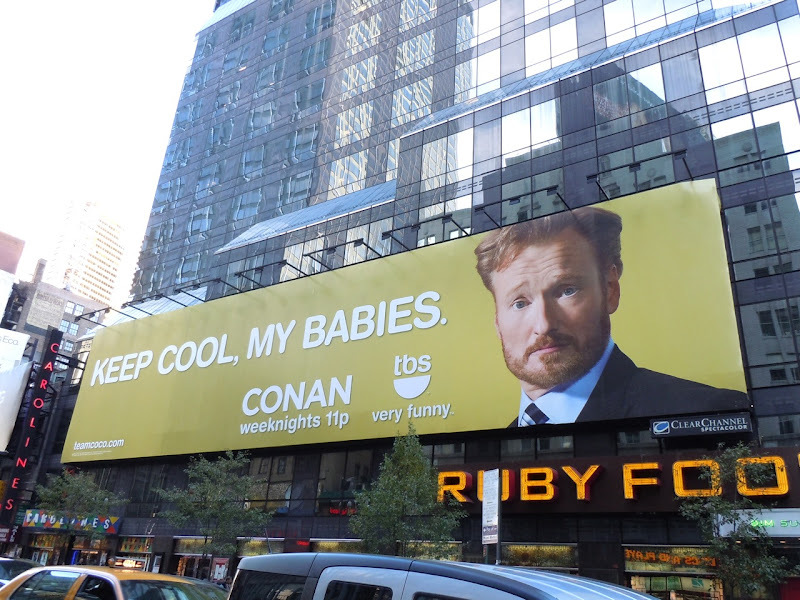 Be sure to check out more quirky Adult Swim billboards. 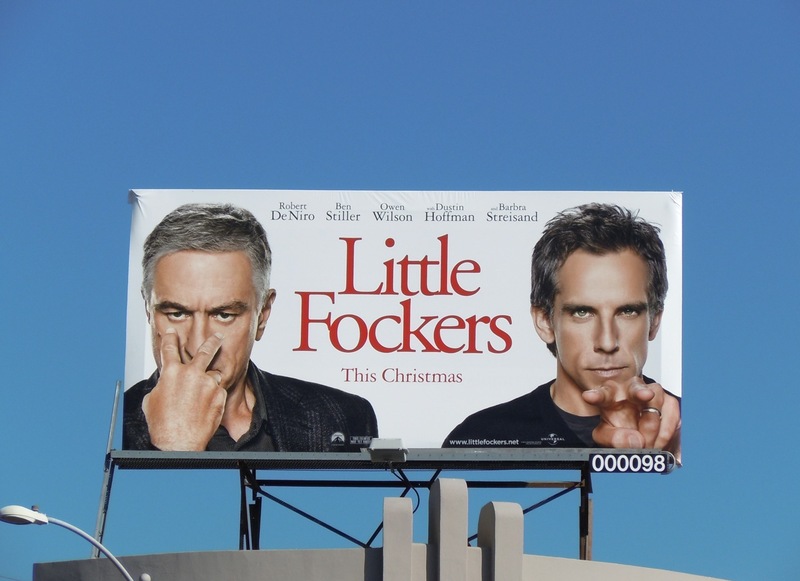 Naughty or nice, Abercrombie & Fitch? 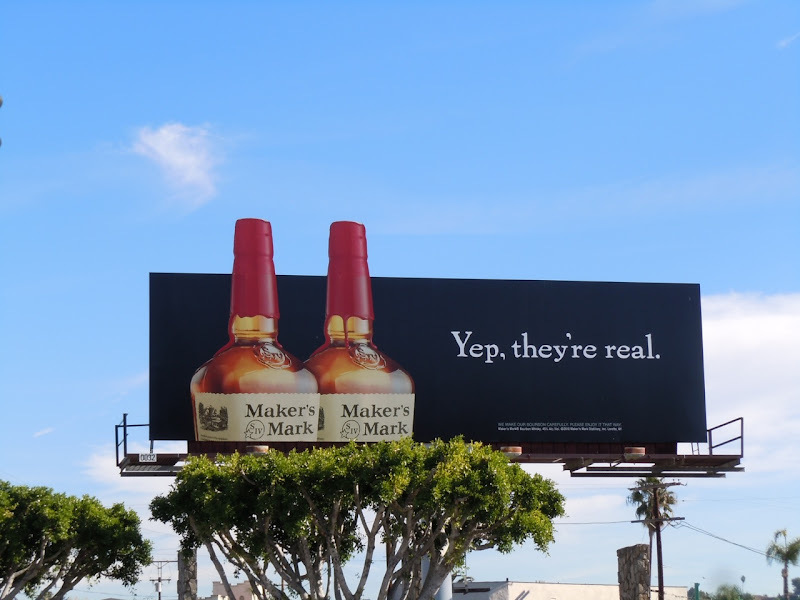 Definitely a nice sight I think. 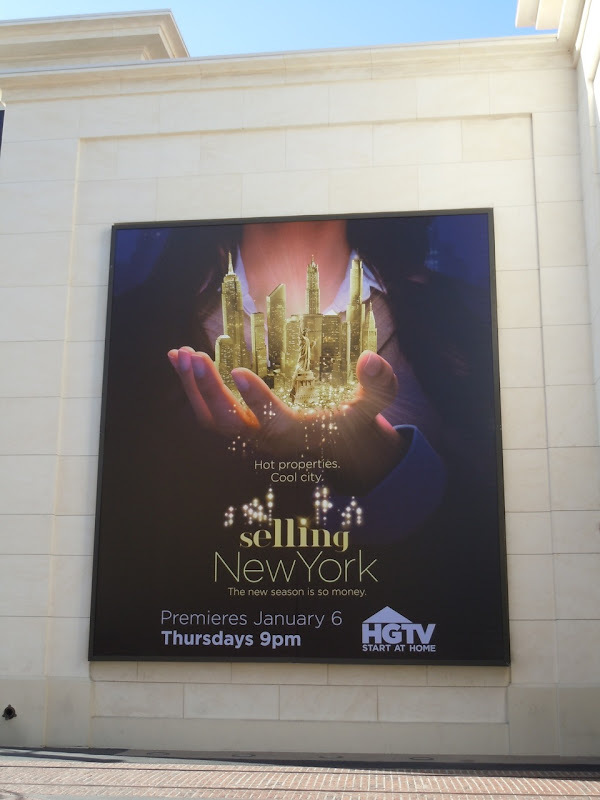 A&F advertising has been absent from the skies of L.A. for too long, so it was nice to spot one of the signature billboards for brand on a recent visit to New York City, at the end of 9th Avenue along Little W 12th Street. 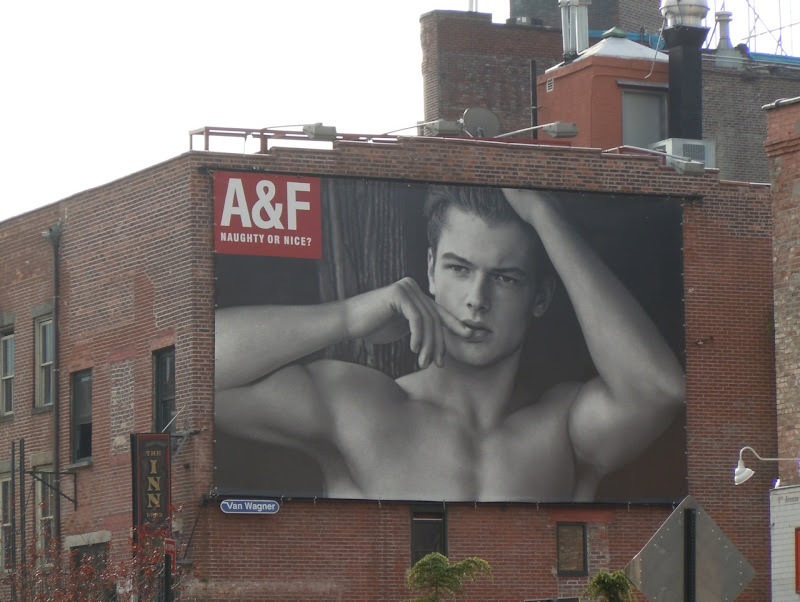 This buff young Abercrombie & Fitch male model billboard was snapped on November 15, 2010. 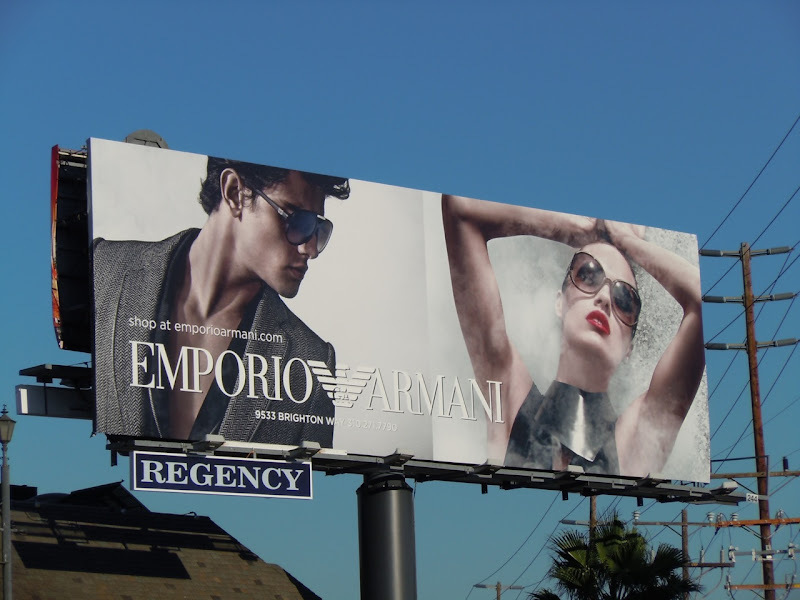 Be sure to check out the Abercrombie advertising flavour that's been missing from Los Angeles for some time. 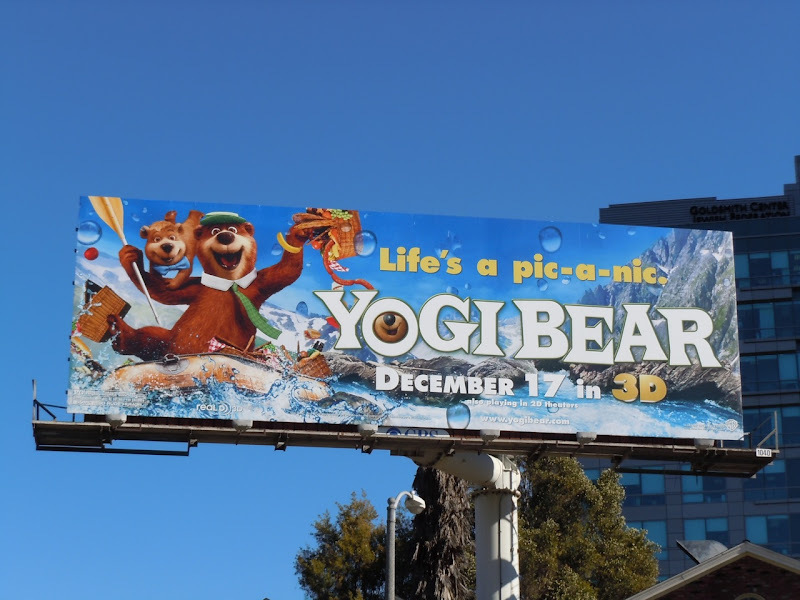 Even though it appears that Yogi Bear is going to be cinematic fare strictly for kids only, Daily Billboard does think the billboards for the new movie are fun, colourful and eye-catching. 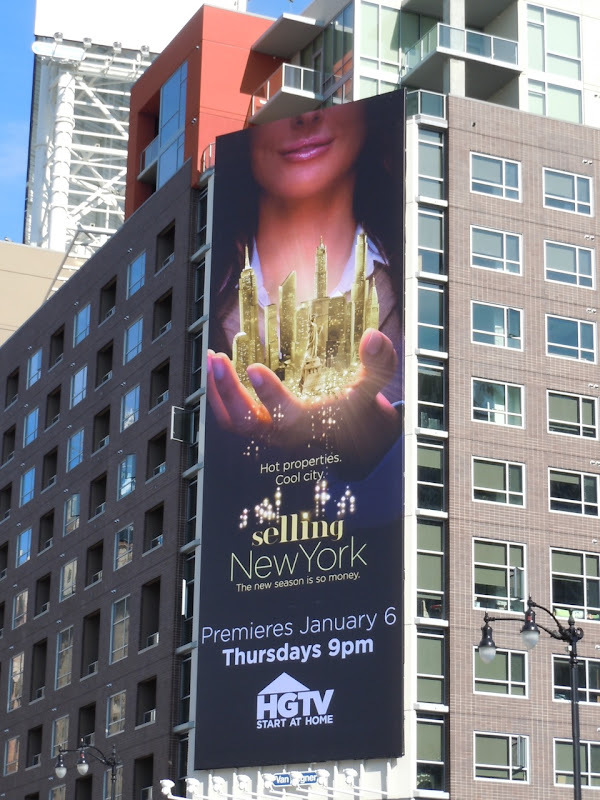 The only criticism would be that the adverts suggest it's a computer-generated animated feature, whilst in fact the film will be live-action with real actors interacting with a CGI Yogi and Boo Boo in the (real world) great outdoors of Jellystone Park. 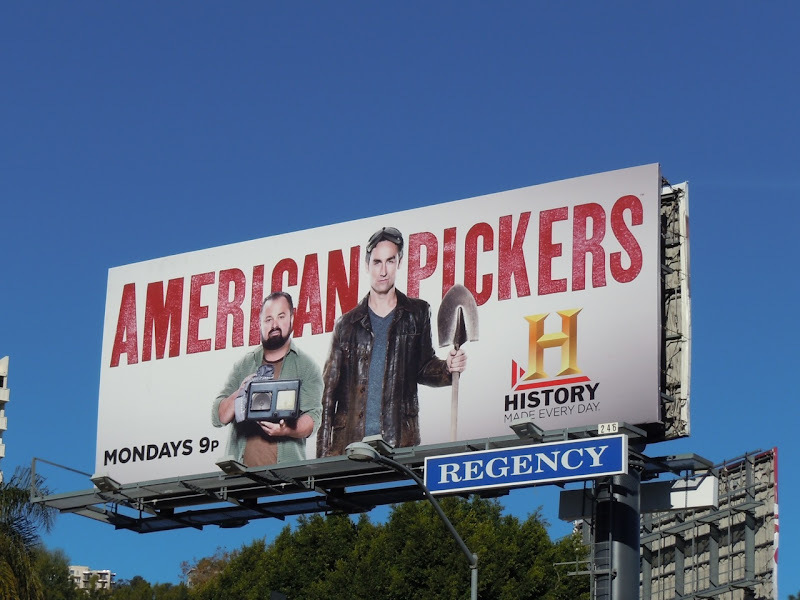 This billboard was snapped at the corner of Sweetzer Avenue and Wilshire Boulevard in L.A. on December 7, 2010. 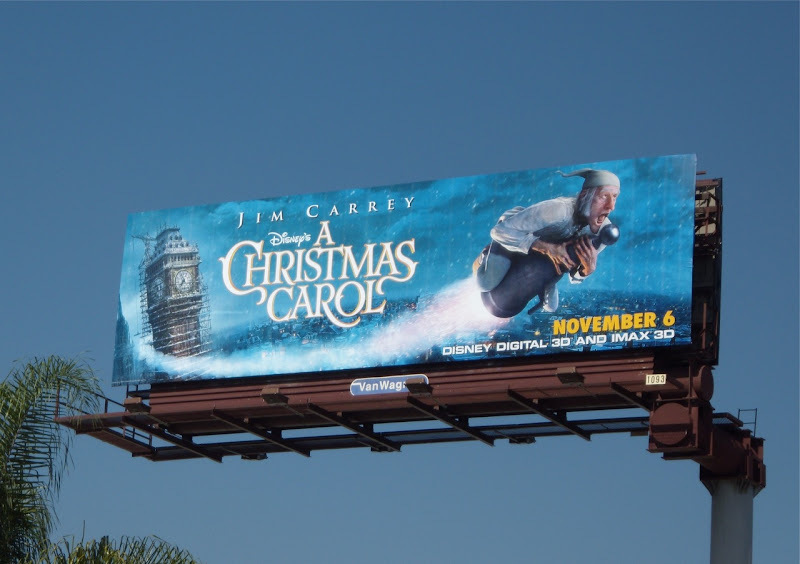 Check out more Yogi Bear movie billboards here at Daily Billboard. 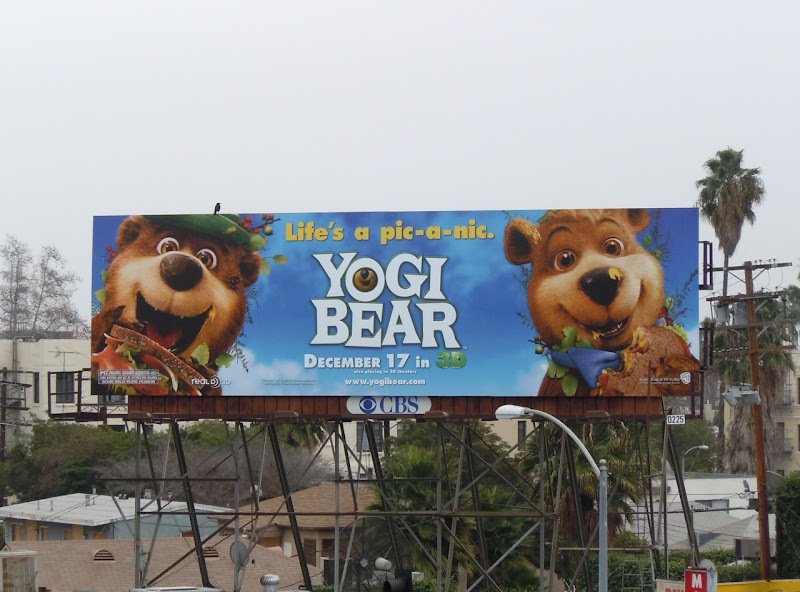 UPDATED: Here's another creative for the movie featuring Yogi and Boo Boo, snapped on a gloomy December 15, 2010. 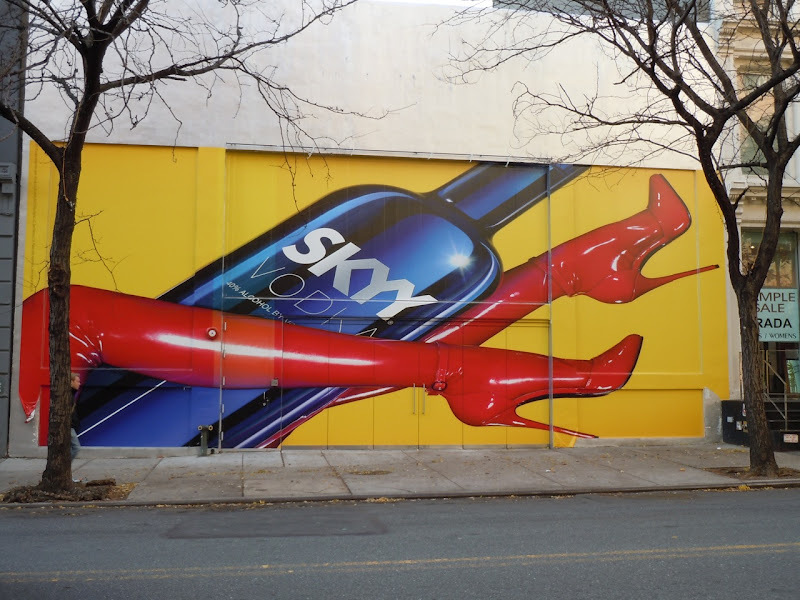 Not only can you enjoy Katy Perry's fun, catchy pop music, but now you can own her new scent too. 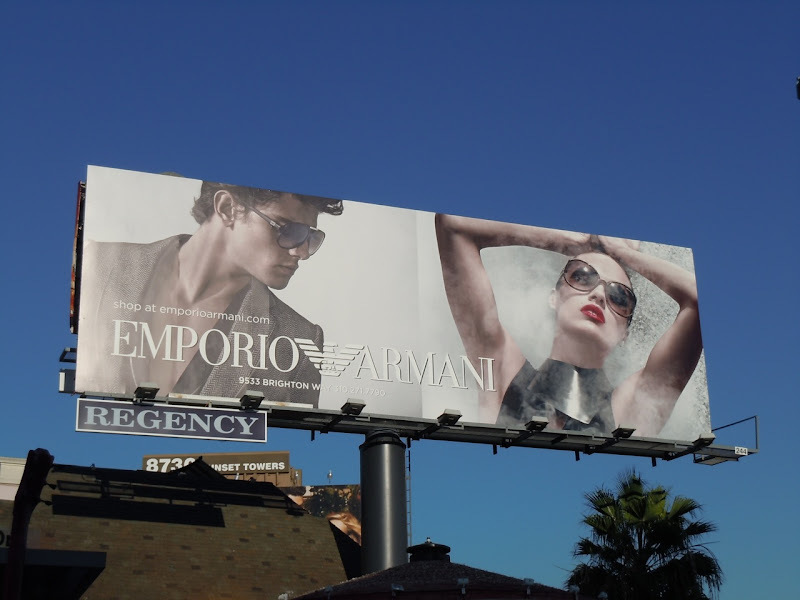 Here's the pop star looking picture 'purr-fect' in her own inimitable way on this billboard for her 'Purrs' fragrance. 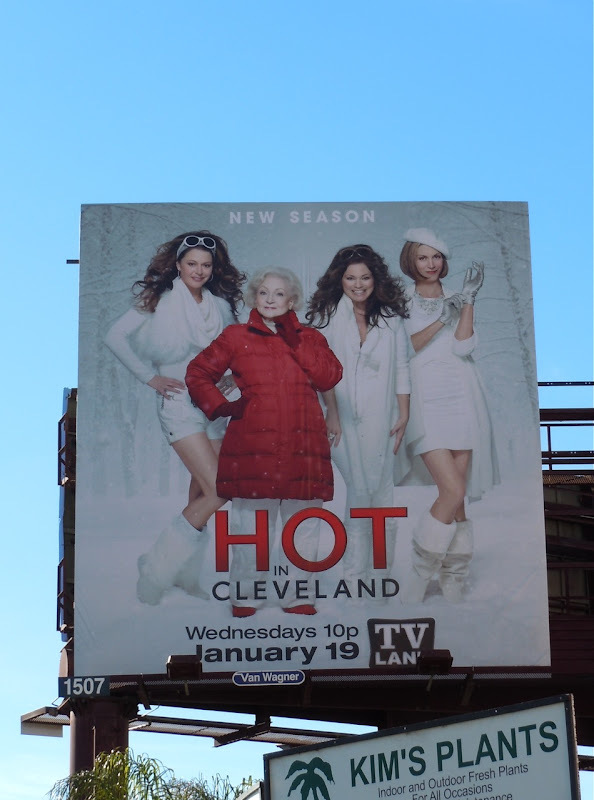 This colouful and eye-catching billboard was snapped along Sunset Boulevard above the Happy Ending bar in Hollywood on December 11, 2010. 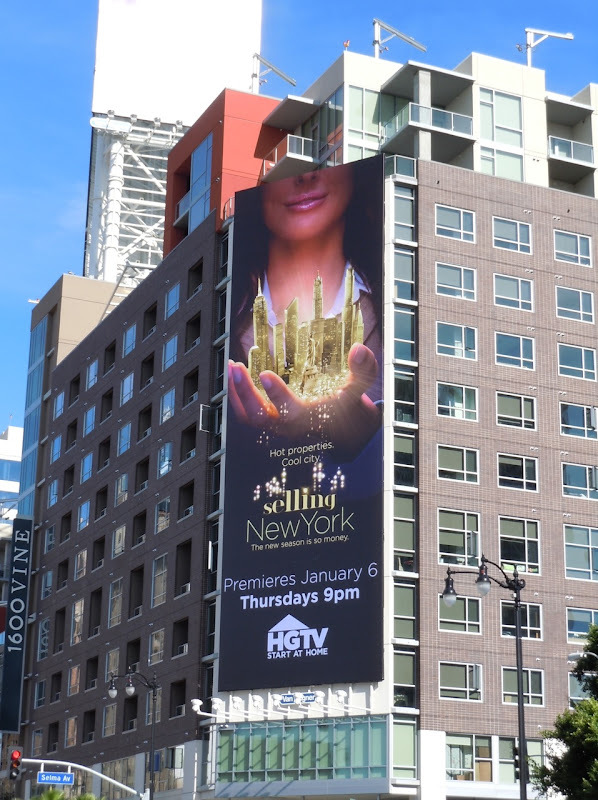 It's no great secret that Carrie Fisher's life has been haunted by the shadow of Princess Leia from the Star Wars movies. 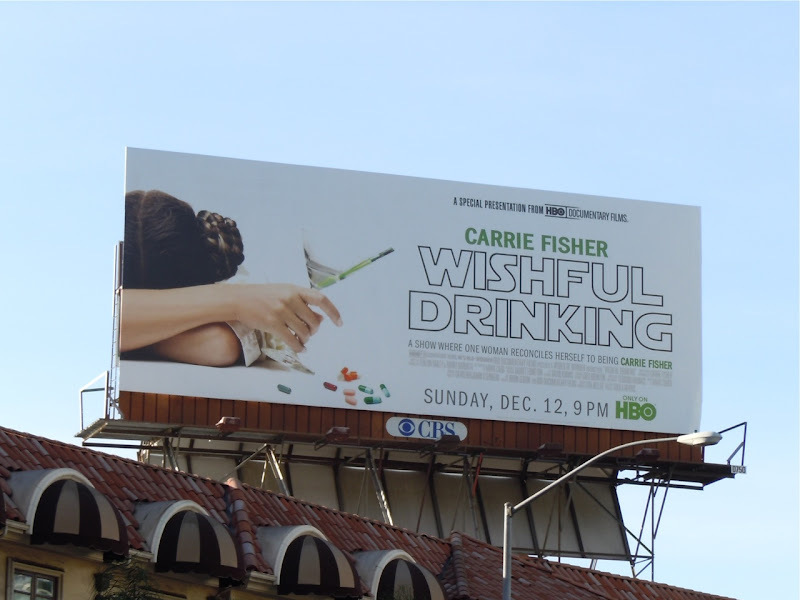 That's why this billboard for the documentary about Carrie Fisher's life, with the character's iconic hair-buns, empty martini glass and colourful selection of pills, is so funny (and equally tragic at the same time). 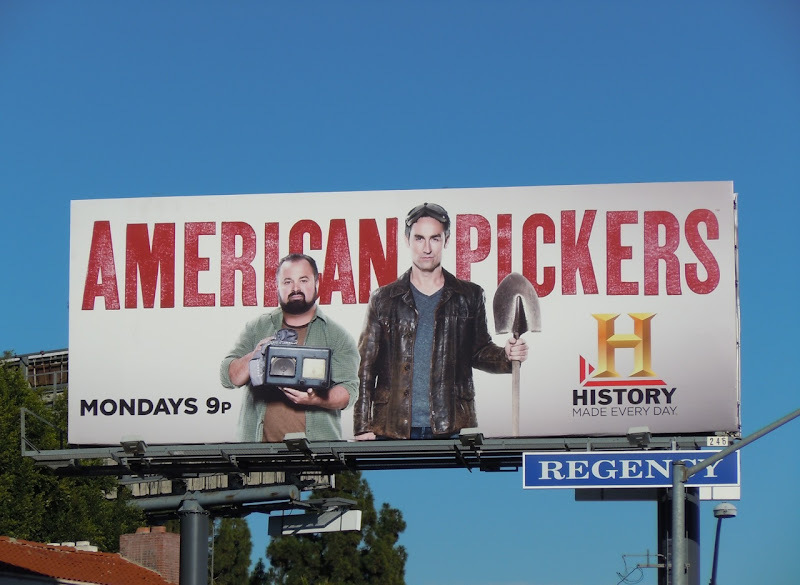 This witty TV billboard was snapped along L.A.'s Sunset Strip on December 11, 2010. 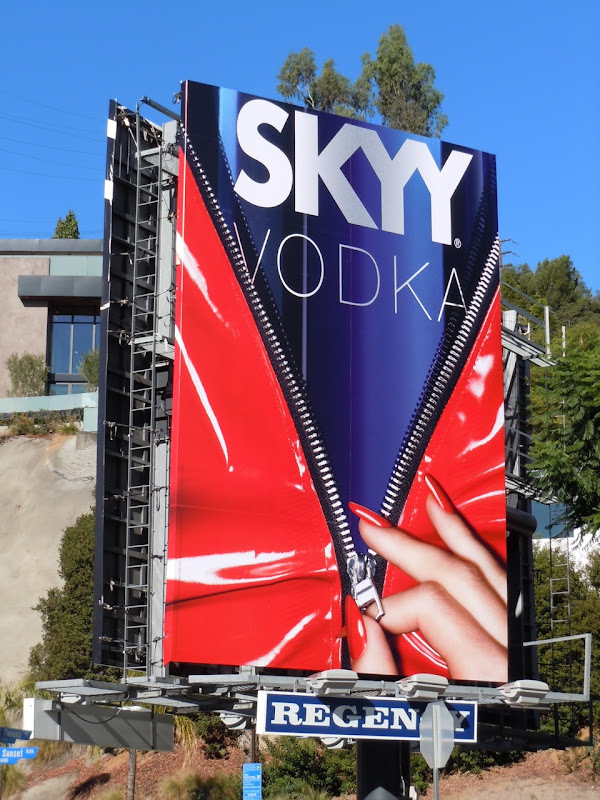 Fashion brand, Joe's Jeans, billboard advertising has really improved in recent months, going from bland and boring to seductive, intriguing and mischievous. 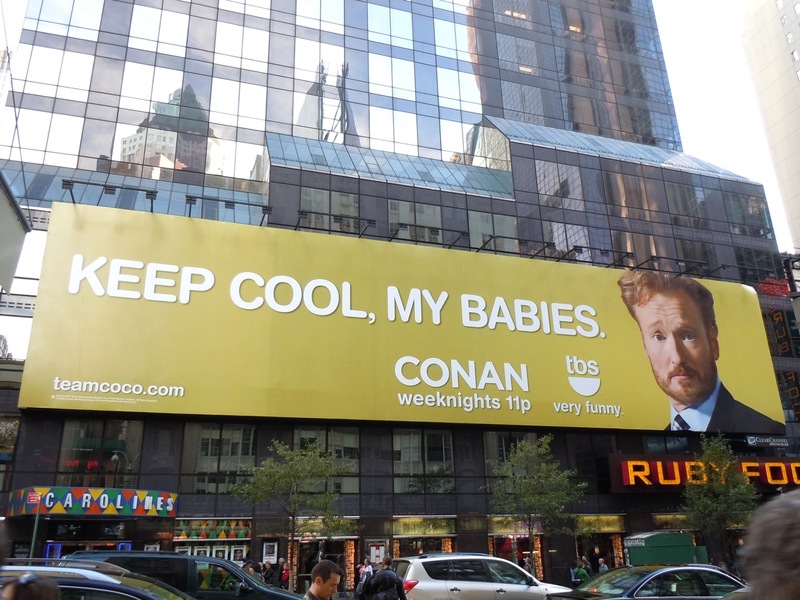 There's still that washed out quality to their ads, but they certainly are more eye-catching of late. 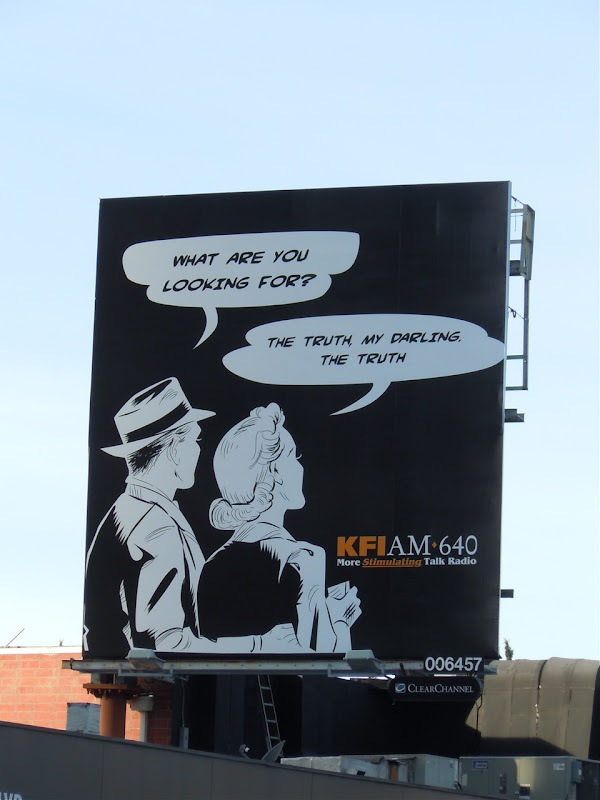 Take for example this clever mannequin billboard (below) that was snapped along La Cienega Boulevard at Beverly Boulevard on April 28, whilst the other attention grabbing creative was captured along Santa Monica Boulevard near Century City on November 26, 2010.